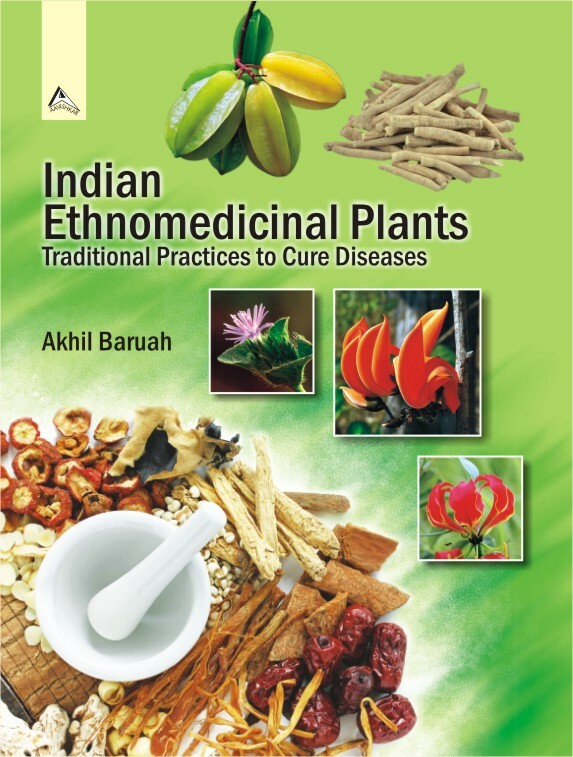 The book ‘Indian Ethnomedicinal Plants: Traditional Practices to Cure Diseases’ includes 13 chapters, covering the aspects of Ethno-medico-botany & therapeutic applications of Medicinal plants, Taxonomy of Medicinal plants, Chemistry of Medicinal plants/Natural Essential Oils, Cultivation Technique of Medicinal/Aromatic Plants, Biological Activity & Pharmaceutical Value of Active Components/Essential Oils, etc. contributed by eminent Academicians, Scientists & Scholars of India. The contents include: Ethnomedicinal Plants Used to Cure Stomach Disorders · Alzheimer’s and Age Related Dementias: Ethnomedicine, Modern Researches and Future Prospects · Ethnomedicine for Kidney Diseases · Medicinal Plants Used for the Treatment of Malaria in Northeast India: An Overview · Pharmaceutical Values and Essential Oils of Indian Ocimum Taxa: A Review · Ashwagandha (Withania somnifera): A Perfect Remedy for Stressful Life · Ethno-medicinal Plant Wealth Used to Cure Skin Diseases · Medicinal Plants in Folk Medicine for Women’s Diseases in use by Northeast Communities: An Overview · Nutritional and Medicinal Values of Fruits in Diabetes · Ethnomedicine for Liver Disorders · Medicinal Plants Used Against Treatment of Piles in Assam: A Literature Review · Indian Ethnomedicinal Plants used Against ENT Diseases · Antimicrobial Potential of Bio-molecules Originated from Terrestrial and Marine Medicinal Plants · Index. This book will be useful to the research & academic institutions, various pharmaceutical industries, botanists, agriculture and allied fields, as well as to exporters, processors, planters and to all those who are interested in Ethnomedicinal plants.